Costa Rica is one of the hottest tourist destinations due to its biodiversity, friendly people and affordable cost of living. There are likely questions popping up in your mind as it is a developing country and there is a language barrier. How is living in Costa Rica compare to Panama? Both Costa Rica and Panama are popular destinations for expatriates or tourists, although Costa Rica does receive more visitors. You will have to experience both to decide, although tourists keep coming back to Costa Rica in droves and we have especially noticed this here at Los Suenos condos. In Panama, there is quite an intense party culture with loud music and late night parties. Costa Rica tends to be more calm with people going to bed early and rising at dawn. You may also find the streets to be cleaner in most areas, although Panama has been developing rapidly. The main advantage in Panama would be shopping since it is a huge shipping and trade hub. You can find products from all over the world for much cheaper prices, including food. On the other hand, Costa Rica does have a better selection for buying high-quality fruits and vegetables. Is it easy to obtain residency in Costa Rica? In comparison to most other countries, Costa Rica has a wide variety of programs designed to make citizens of developed countries stay in the country easily. They usually consist of proving financial solvency, having a government pension, having a considerable amount of property, or investing in local businesses or nature reserves. Having said that, lot’s of people still live in the country as perpetual tourists. This means that they leave the country every few months and return when it’s convenient for them. Is Costa Rica a poor country? Costa Rica is considered to be one of the most thriving and safest countries in Latin America. Along with Panama, it is the most developed area of Central America as well. The country is still relatively poor in comparison to the United States and the government still has a long way to develop. While it’s educational system is lacking funding, it still is better than neighboring countries as every penny is used by local communities wisely. One thing that is unique to Costa Rica is that wealth is well distributed in comparison to the rest of Latin America. There are still millionaires and billionaires, but the lower class doesn’t live in extreme poverty or discomfort like you would imagine. Are there health concerns for living or visiting Costa Rica? The tap water is rather safe to drink as municipal water is properly treated. In some rural communities, the water could be considered questionable. 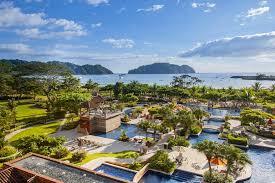 If you are staying at a resort, like Los Suenos condos, you shouldn’t have to worry. As for the medical system, the public and private hospitals in the country are some of the best in the world. Medical procedures may even be performed at a fraction of the cost. Costa Rica is an amazing country that is only going to get better. If you are interested in visiting or moving to this country, check out our list of services.